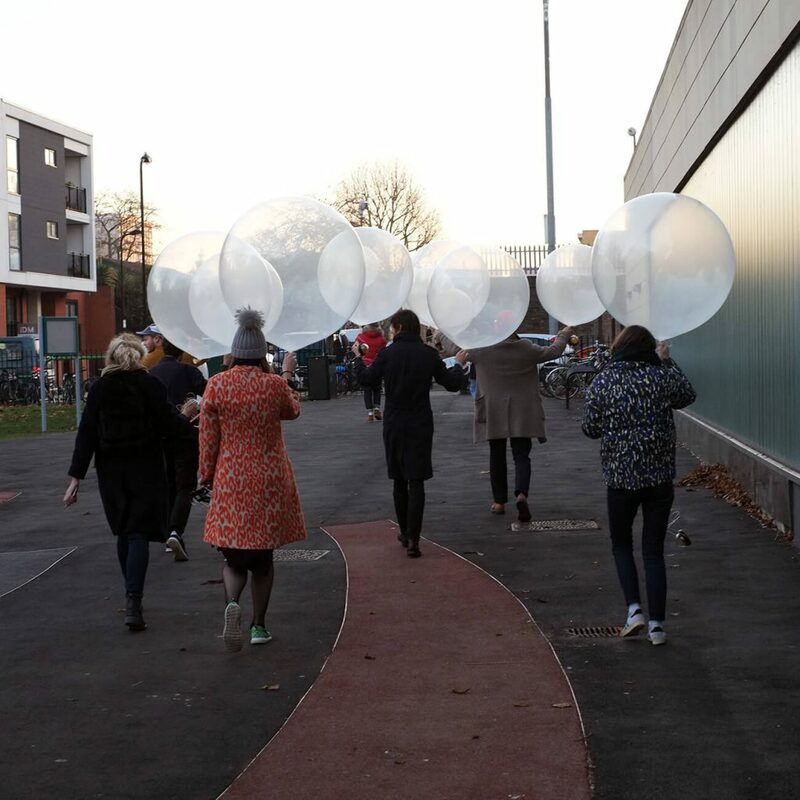 It was a team effort yesterday as the entire Tack Press office walked the giant balloons that made up Marjan van Aubel‘s ‘Float’ installation to the gardens of the Geffrye Museum in Hoxton for filming. Marjan had created the temporary installation for a short film produced by Jocks & Nerds for the latest give from TOMS for Apple Watch. The installation saw twelve giant balloons arranged in 3×4 grid formation each individually weighed down with a solar light suspended on the adjoining wire to give the impression of floating light. The film’s aim is to highlight the fact that about 1.2 billion people (16% of the world’s population) lack access to safe, reliable electricity. With TOMS support, the brand’s Giving Partners, SolarAid and Solar Sister help give solar lights to people who need them in Sub-Saharan Africa.